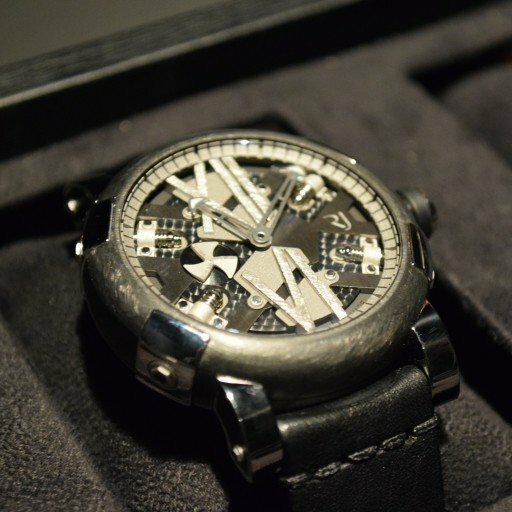 Yesterday we went all out in terms of geeky ness with the Batman 75th Anniversary seen at Baselworld. Then we went on to some Historical geekery, with the Barlin-DNA. Today we go to a different form of geekery and nerdiness. This time around we reach the heady heights of classic gaming! It is amazing when children get completely enthralled by a game, a group of pixels making their way around the screen. Not forgetting the funny little sound effects and background noises. There is no better example than Pac-Man! Originally released in 1980 by Namco, it is seen as the highest grossing game of all time. In its first ten years it had amassed over $2 billion USD! Well RJ-RomainJerome released for Baselworld the PAC-MAN Level II. What is different you say? 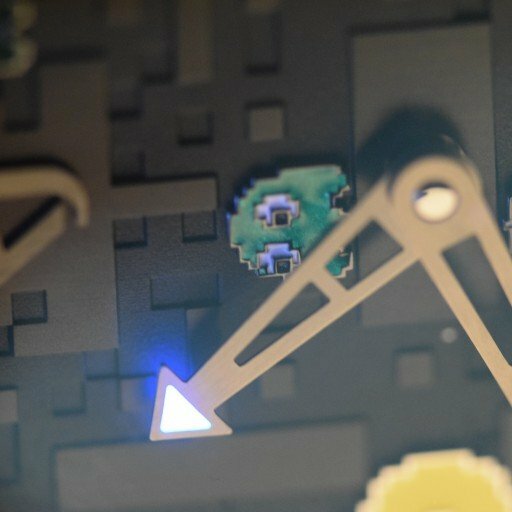 Now the watch features a different layout, where Pac-Man and the ghosts and the level itself are in a completely different configuration. Not only that, the adventurous use of lume has allowed the blue ghost ‘Inky’ to only show up under blacklight or after heavy exposure to sunlight and in the dark. In normal sunlight the ghost is black, so at times can be rather hard to spot! Just take a look at some of the photos I was able to take. Note the strawberries for level 2 compared to the cherries of level 1. A tiny but significant detail. Skeletonization is a cool cool process where all the supporting bridges and plates are pared down. So much so that the components look like they are floating in the case. 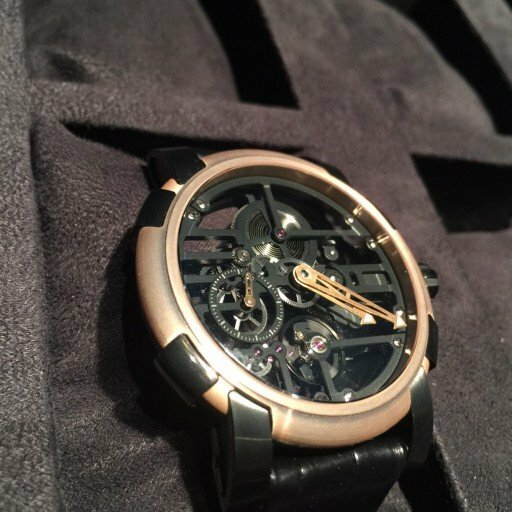 RJ-RomainJerome have done theirs in a new larger case at 46mm meaning there is more space between the bridges and parts. It sat really very nicely on my wrist and I was surprised. In a good way. These will be very popular and will surely sell out quickly seeing as there are only 99 pieces of each colour variant. The new finish is called anthracite, seen here in the picture. I would describe it as a gunmetal type colour with a brushed finish. 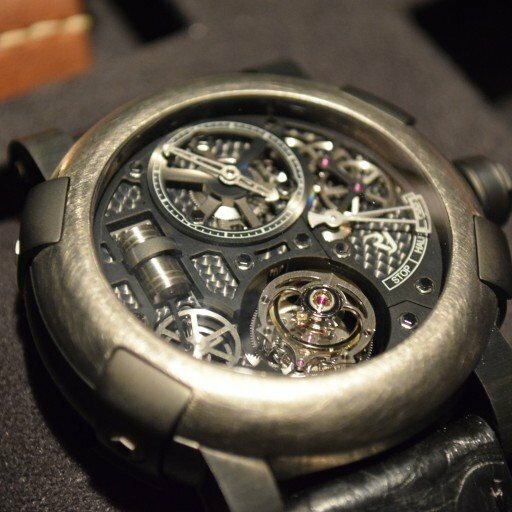 It addes a certain tactile feel to the whole thing, mirroring the steampunk feel of the piece. 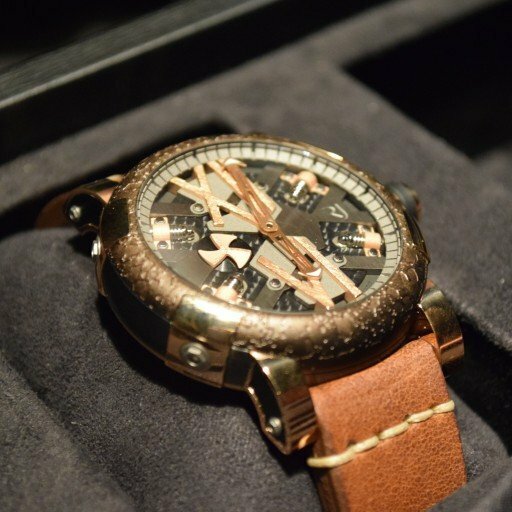 Talking about steampunk, RJ-RomainJerome have also released the Steampunk 46. 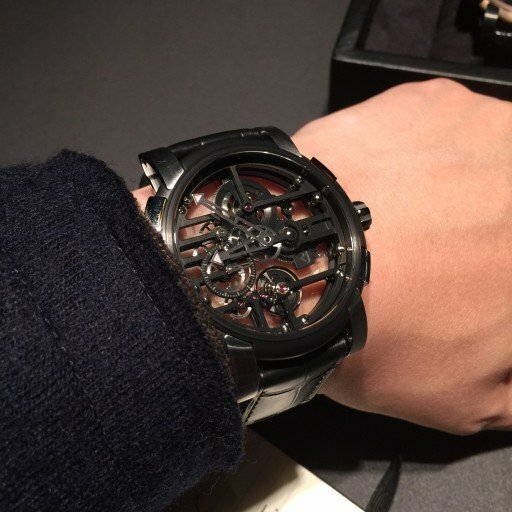 An example of the best to come from RomainJerome, no I am not talking about the collaborations but the pure DNA that they have started out with. Certainly the hallmark of Manuel Emch the current man at the top. It is in the details that are really important and this has all of them. 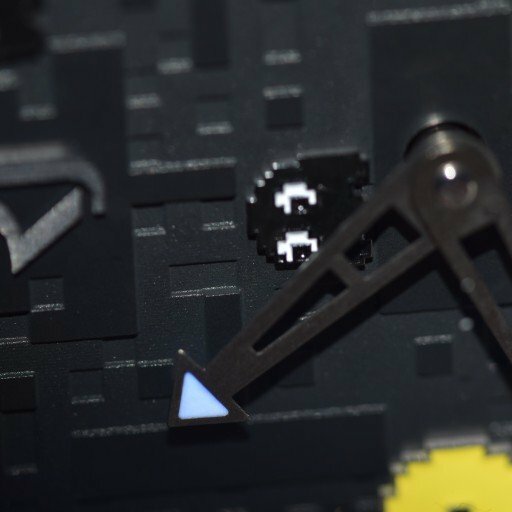 From the screws in the dial to the winding titanic propeller that represents the seconds indication. Oh and here is a sneak peek of a toubillon for you all to … do what you will!